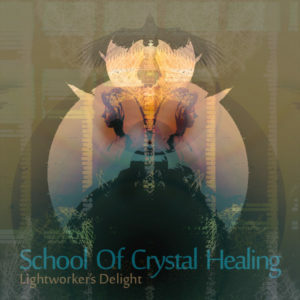 Troll N’ Roll Records presents Lightworkers Delight, the second album from Scandinavian ambient and downtempo project School Of Crystal Healing (Olof Ejstes) and the sequel to Form And Frequency from 2012. The journey continues through warm ambient landscapes and lush downtempo grooves filled with light and positive thinking. It is intended to be a deeply emotional and fulfilling collection of tracks to be used in meditations on hope and inspiration. So follow the music out through the backdoor of the New Age bookshop and into the warm light outside. Artwork by Mathias Lundgren and mastering by Christopher Malmqvist @ Echo Carrier Studio. MP3 Download | FLAC Download | WAV Download · Download count: 8,265. Excellent music especially for Tai Chi practice. Thanks a lot! I would put this on the same level with my favorite Ishq albums. Well, this is just Awesome. Top Marks. Previous release excellent also. YOW! As a lightworker myself, I can appreciate this beautiful release. thank you. Thank you for this wonderful meditationmusic. Beast ambient release of 2016. I wish there were more of something like this. And BTW kudos to Troll’N’Roll for what they do. Thank you guys!